Dr. Kimberly Van Scriver is a vConfidence approved physician who will listen to your concerns and is focused on giving her patients the information they need to make the right decisions when it comes to improving their feminine quality of life. In addition to being a vConfidence approved physician, Dr. van Scriver is a Board Certified Obstetrics and Gynecology physician by the ACOG, and she earned her Bachelor of Art in Psychology from the University of California, Irvine and a Bachelor of Science in Biology from the University of Arizona. After completing her Doctorate of Medicine at the University of New Mexico School of Medicine, Dr. van Scriver completed Residencies at the University of Oklahoma, the University of New Mexico and the University of Florida. 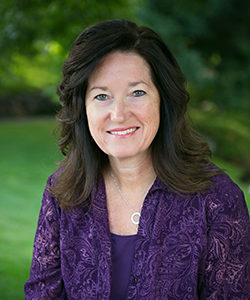 Dr. van Scriver has been practicing OB/GYN since 1998 and joined South Denver OB/GYN in October 2014, where she became a valued member of a team absolutely devoted to giving the highest quality of care and an unsurpassed service approach with extraordinary results. At South Denver OB/GYN we consider it a privilege to provide health care to women from adolescence through menopause and you can count on enjoying the very highest quality of medical care as we believe in taking a personal approach to encouraging a better quality of life, as all of our providers work together as a seamless team unit and strive to complement each other flawlessly, while our clinic rooms provide a comfortable, quiet, and private respite, so that they are your best place to talk to your caregiver. Dr. van Scriver is passionately intent upon empowering women to enhance and enjoy their feminine quality of life using the latest vConfidence techniques and technology so that you too can approach life holistically and with confidence. We invite you to schedule a consultation with Dr. van Scriver and discover the vConfidence difference and all that we have to offer at South Denver OB/GYN.